San Diego Comic Con is known for its exclusive first looks, sneak peeks and insider information into what to expect in the future of our favourite fandoms. This year Doctor Who fans eagerly anticipated what they would learn about Series 11 and the future of Doctor Who. 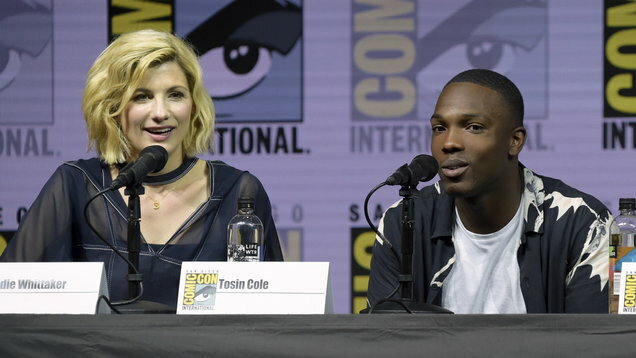 Tosin Cole, Mandip Gill, Jodie Whittaker, new show runner Chris Chibnall and Executive Producer Matt Strevens sat down and answered questions in the Doctor Who Press Room Wednesday (18th of July). The cast of the new era of Who sat smiling and cheerful as they took on a variety of questions from fans attending the press conference. To start off the Q&A someone asked whether Whittaker had any doubts or insecurities and what she was nervous about with taking on the role of the Doctor and how well it would be received. She said that the reveal was a nerve wracking moment to see how it would land with fans around the world. However, she explained “being the first woman to play the Doctor is incredibly liberating”, following up with a confidant “I’m not nervous”. Another individual asked whether there would be any difference in how this new Doctor will be reacted to in her adventures in series 11. Chibnall responds reassuringly that “The Doctor’s still the Doctor”. He explained that the only time when gender issues may occur will be in episodes “when we go into history”, tailing off into a hinting “that might come up” at the end of the sentence as new executive producer actor Matt Strevens, sitting to the left of Chibnall, gave a telling smirk. Chibnall went on to explain that when travelling through space to other worlds that the Doctor is still capable of walking into a room, adding “I’m not sure that’s a gender related issue”. When asked about what it has been like being in the public eye while working on such a successful and well known program as Doctor Who, actress Mandip Gill who will also be playing a new companion in Series 11, suggested she hasn’t really thought about it, adding “We’re just getting on with it and creating the show”. The actress did go on to say “I know there’s a level of responsibility and I’d take that into any job regardless of whether it was on this scale or any other scale”. Tosin Cole, another actor playing a companion in Series 11 added “I’m just going with the flow”. The new trailer reveals the Doctor asking the new companions if they want to be “best friends”. 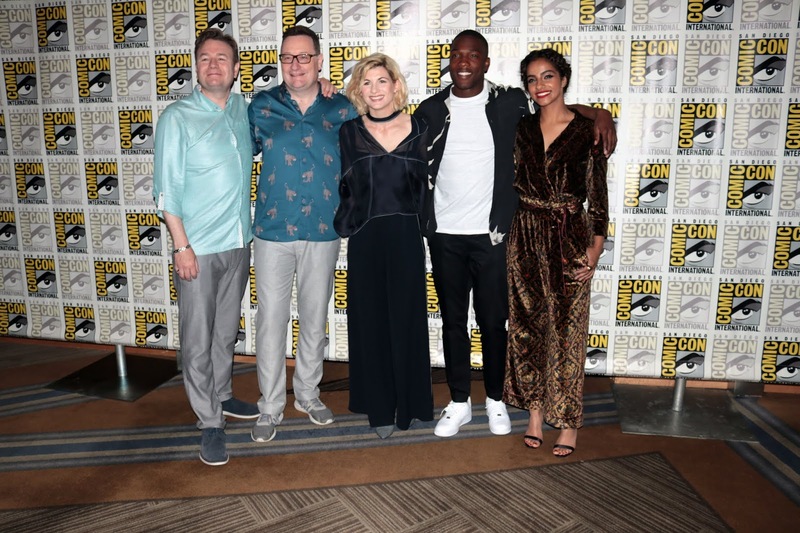 When asked about this shift from companion to friend at the Comic Con Press Conference, Chris Chibnall stated “It just feels a bit more natural to me and to us”, suggesting the term feels more emotionally connected. Strevens chimed in referencing that originally the term was ‘assistant’ before it became ‘companion’, furthering the idea that the terminology is just progressing naturally. When questioned as to whether or not the Doctor will run into any old allies or villains in the new series, Chibnall stated “It’s pretty much all new stories, all new monsters, all new villains”. He assured fans that with it being two weeks from the end of filming he has still not come across any old villains yet. 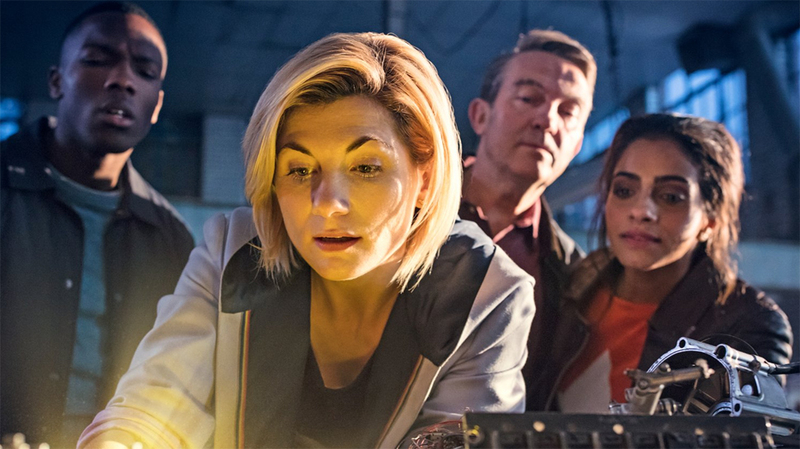 Whittaker added that though Series 11 is for returning fans of Doctor Who it is also going to be for brand new viewers who have never seen it before. Taking on such an iconic role can be a bit daunting for any actor. 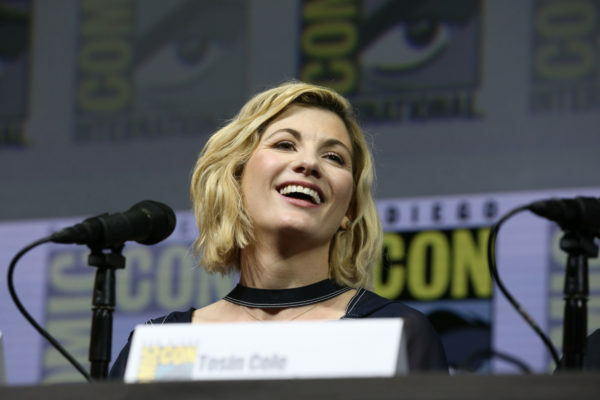 Whittaker was asked when during filming she first felt that she was really able to embody her version of the new Doctor. The actress explained that she was really thrust into the deep end during the very first week of filming. It was during that week when she was being filmed giving a really important speech as the Doctor that she truly felt that and explained it was “a pretty amazing moment”. Some fans may be wondering how this new era will compare to the Moffat era. Chris Chibnall explained that he really can’t make comparisons but that he would describe Series 11 as “funny, scary, emotional, exciting, full of action adventure cinematic. It’s epic.” He suggested that he wants to be able to convince new viewers who have never seen Doctor Who in the past that “this is the greatest idea that television has ever had”. When the new costume for the Thirteenth Doctor was brought up in terms of thoughts going into the design, the practicality of it and how Whittaker felt wearing it, she explained that generally a costume has to fit a specific time and place and that this costume felt like “it could come from anywhere”. When working together with the costume designer they decided they didn’t want anything that felt “too neat and tailored”. Whittaker recalled a picture she saw on Google when she was “stalking Chris Chibnall to give [her] the job”. She described it as a picture of “a woman walking with purpose and deep in thought, striding”, continuing, “She had short trousers on, boots, braces and a T shirt”. The photo was black and white and Whittaker is unaware of what era it was from. Whittaker felt the image embodied “timelessness, purpose and inclusiveness” because the look “didn’t feel you needed to be a certain shape or age to wear it”. The actress teasingly taunts fans that this new Doctor costume has “so many little details that you’re never gonna find”. With this series having so much diversity in gender and race in front of the camera, Chibnall assures viewers that this diversity was just as much a priority behind the camera as well. Actor Tosin Cole chimed in on the subject, stating “It’s 2018, everybody deserves to work”, adding “we’ve just gotta get with the times and crack on”. Chibnall suggested Doctor Who should be the most inclusive show on television, reminding us that “the whole concept of Doctor Who is that anyone can go anywhere and do anything”. Regardless of the show’s pro-diversity stance, some fans might still be torn on the decision of the Doctor being cast as female for the new series. However, when asked what makes this the right time for the Doctor to regenerate into the body of a woman, Chibnall stated “I think it was possibly overdue, to be honest.” adding that the decision felt really “simple and obvious”. Chibnall also brought up the mentioning of regeneration from male to female in past episodes being canon since the 1960s. He concluded the topic with the short answer of “it was a no brainer”. With the first female actress to take on the role of the Doctor being constantly asked about what message she has for young girls watching, she had this message for young boys watching the program “It’s OK to look up to women”, going on to suggest that heroes don’t have to tick any particular boxes in order to be heroes. Mandip Gill, when asked about her companion character said “She’s completely in awe of the Doctor”. She plays “a 19 year old girl […] who went on this adventure and found a family away from home”. Actor Tolsin Cole said about his character “He’s a chap, you know […] he just kind of goes with the flow” He describes his character as boisterous, suggesting he “challenges the Doctor from time to time”. Series 11 debuts this Autumn, and fans may be happy to know that when asked about a Christmas Special Chibnall did confirm that there will definitely be another episode after the end of the series this year. The full video of the conference can be seen below.